• Thursday, June 7th, 2018 at 5:30 p.m.
Meet at Smith's Fork Park at the show site, set up Conformation ring and 4 large 10 x 20 tents. We have 6 volunteers committed to setting up, however, all are welcome to come and help. • Friday, June 8th, 2018 at 8:00 a.m.
Set up Judges table and trophy, catalog and armband table for Steward. Set up table with coffee, juice and breakfast items for everyone. Judging begins at 9:00 a.m. Lunch time will be at the Judges discretion. We will get QT pizza and have available for everyone by the slice for a donation offering. Chips & Dips with Beer & Wine Hospitality – Immediately following completion of the show. Everyone is invited. All club members are being asked to bring a bag of chips and container of dip. The Club will provide Beer and Wine. The Salava's from Minnesota will host a small Graduation Party for Liz Oster's daughter, Maria. Many of us have seen Maria grow up and she has many friends who will want to wish her well before going off to college. The Salava's will bring all of the treats and such with them and this will be combined with the Hospitality. Also, Judy DeRousse, a friend to many of us and a co-owner of several dogs of mine as well as Bobbie and Charlie Schiffelbein will be celebrating her 80th birthday with us. This is a surprise and Judy does not know about this. I will have a large chocolate cake for all of us to enjoy. The Kansas City Hospitality has always been known in our dog world. Please plan to join us and make our out-of-town friends feel warm and welcome. • Saturday, June 9th, 2018 at 8:00 a.m.
Set up coffee, juice, and breakfast items. Set up Stewards table and trophy table for the show. Judging starts at 9:00 a.m. Lunch times are at the Judges discretion. Will have sandwich trays from Price Chopper with a small bag of chips for a donation. Early afternoon set up for the Temperament Test field with Judge Butch Stiefferman. After completion of the show the Temperament Test will start at the 2nd shelter house. Show Dinner: We hope everyone will join us for our dinner. Brad and Marion Baker are planning the dinner for all of us. Last years dinner was fabulous and I know this years will be as well. The dinner will be served in the first shelter house after the completion of the Temperament Test, somewhere between 6:00 – 6:30 p.m. The club is providing the dinner and our Judges will join us for the evening. • Sunday, June 10th, 2018 at 8:00 a.m.
Set up breakfast, Steward and trophy table. Judging starts at 9:00 a.m. Lunch time again up to the discretion of the Judge. Working on details on lunch. Donation again for lunch. After the completion of the show, we will be breaking down the ring and tents, loading up the trailer and putting another wonderful show weekend to bed. I hope everyone plans to attend some if not all of the weekend events. Some of the most beautiful GSD's in the country will be here and we have a very large entry all weekend. We need each and everyone to make this a successful and smoothly run weekend. I'm sure there will be much fun and laughter along with the work and fellowship as well as the privilege of seeing our beautiful breed in action. I look forward to seeing you all next weekend. The club held their annual Ice Cream Social on May 8th at Macken Park, in North Kansas City, Missouri. There were 41 people in attendance along with 14 dogs. It was also "Show Your Best Dog Trick Night." Marley Rose is seen here enjoying a taste of ice cream. 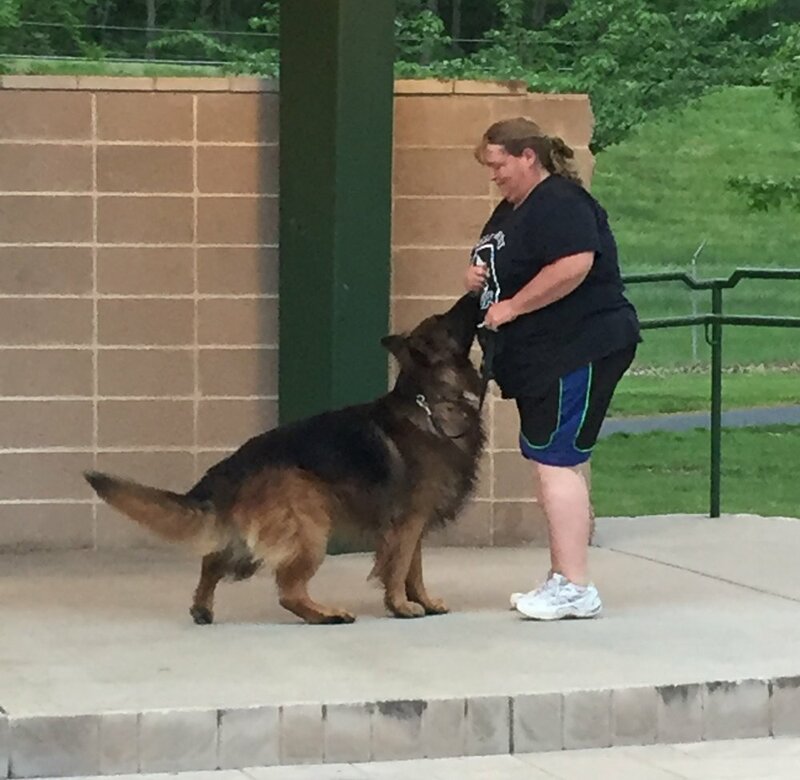 Several brave members showed off their dogs and best tricks. It was great entertainment watching the dogs with their handlers. Thanks to all that attended the meeting and ice cream social. Cindy Hartman reported that Georgie had a great weekend at the Great Plains Cluster in Topeka, Ks. "This was Georgie's first show. She was entered in 8 events and placed 8 times. She came home with two titles and 5 first place ribbons, a second, third, and fourth. She earned her BN (Beginner Novice) with 3 firsts and scores of 175 ½. Her second titles were Rally Novice with a first, third, and fourth. 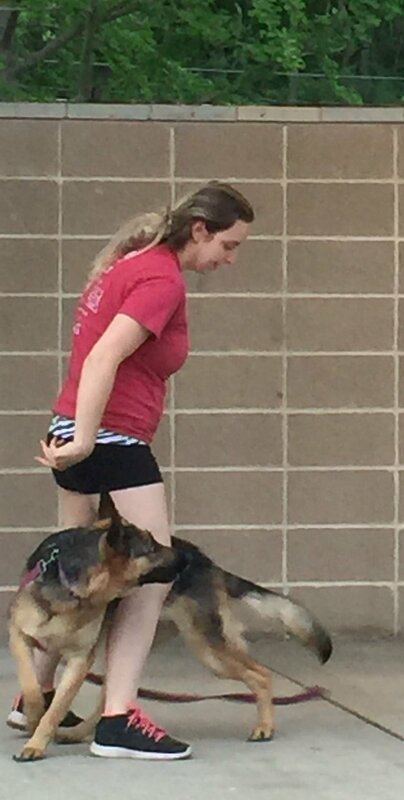 She had perfect scores, her bumbling handler lost all of the points. We were also entered in Wildcard Novice with a first and second". "I am on Cloud 9." Congratulations also goes out to Bobbie & Charlie Schiffelbein, Chris Kimerer and Laura Shearin for the results from the St. Louis Specialty Shows held over Mother's Day weekend. "X", Charo Jalyn's Xtortionist v Tranbark Lauguin took Winners Dog for 2 shows for two 4 point Majors. At the Steward KC Shows, Charbo's Nyte Raven v Jalyn took WB and BOW the first day and Charbo's A Song In My Heart v Jalyn took WB BOW and BOB on second day. The puppy, Amer's One Moment In Time v Charbo took Reserve WB also on the first day. At the Claremore, Ok shows March 31, Charbo's Nyte Raven v Jalyn took WB BOW BOB. At the Kansas City shows she won WB two days and on the third day WB BOB. She has had a great start! "Making new friends means having meaningful conversations!" Save this date!! 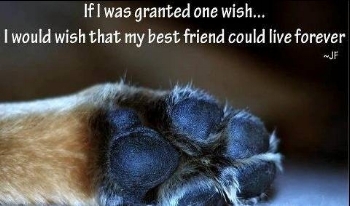 Sunday, August 12 12:00-3:00 at The Dog Pool, 33004 E County Line Rd, Pleasant Hill, Mo. Bring your chairs, canopy’s, sunscreen and food for you and lots of energy for your dog. Also bring along a toy that floats, towels for drying and a kennel so your dog can rest. Please contact Darcey Seeger in order to get a head count of how many people will be participating to determine if we will need to buy more time at the pool. She can provide details about the event; i.e. check-in, and FaceBook review. 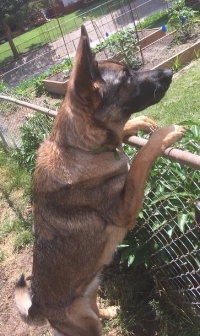 Darcy can be contacted at (816-914-6955) or dseeger77@gmail.com. Tails and Treats in the Park was a lot of fun this year! We ended up with about ten dogs each night of class. 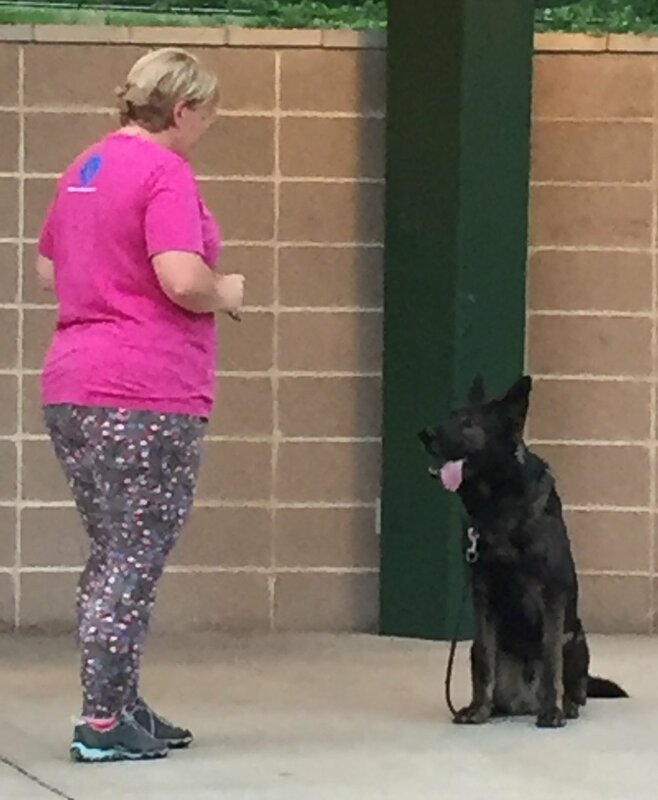 The Trick night was the last class and it was so much fun for all…lots of new things to learn for dogs and people. The Agility class was taught by Cheryl May with the assistance of Nancy Kennedy. Jo Clair Gipe taught the trick class and did a great job! All had fun with the class. A very special thanks to all of the instructors that made the training classes possible; Debbie McHenry, Sally Hamm, Darcy Seeger, Nancy Kennedy, Jo Clair Gipe, Susan Hunt, Rosi von Fintel, and Cheryl May. Our club continues to grow. In May we added three new members to the club. Make sure and say hello to Scott, Jamie, Kylie and their dogs. We are pleased that they have joined our club. 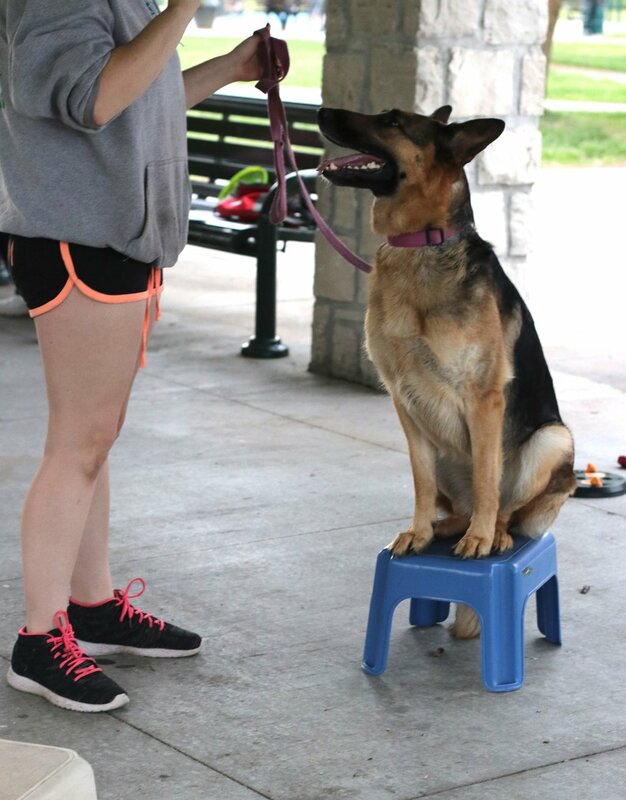 • Saturday, Sunday, July 14-15, All Breed Obedience Trials, Greater KC Dog Training Club, 8:00 a.m. – 5:00 p.m.
• Sunday, August 12 12:00-3:00 at The Dog Pool, 33004 E County Line Rd, Pleasant Hill, Mo.